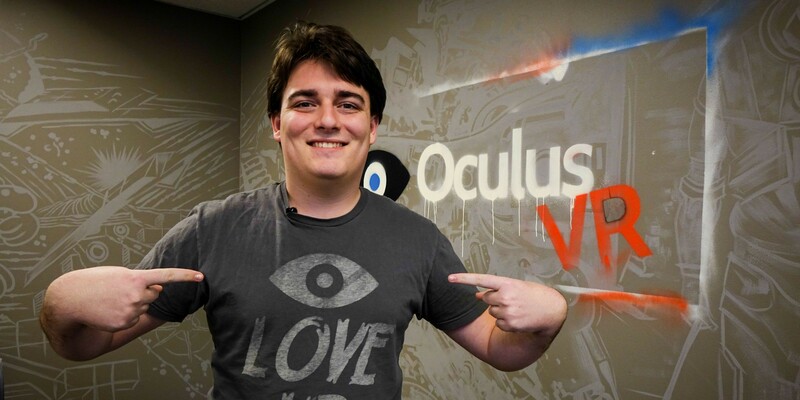 Oculus VR founder and Rift inventor Palmer Luckey was at a Microsoft Windows 10 Showcase in San Francisco this week and he briefly commented on his Tesla Model S, which he described as “probably the best car that’s ever been made”. Despite his comment, Luckey, who owns a Model S P85D, thinks he could improve on the vehicle, or at least make it faster, with a few modifications. To be fair, aftermarket modification are not necessarily to make a vehicle (or any hardware) better, but rather to customize it to your own preferences. Luckey is a proponent of hardware modifications. His Oculus Rift headset, now just called “Rift”, was born out of hardware modifications. In 2009, he founded the ModRetro Forums, a website for discussing modifications to old hardware devices such as game consoles and PCs. The young inventor added that he was looking into implementing a few of those upgrades to his own Model S.
If Luckey has the “Ludicrous Upgrade” in his Model S, his car is already able to accelerate from 0 to 60 mph in 2.8 seconds. There are a few companies offering aftermarket modifications for the Model S, but they are mostly about aesthetics rather than performance. Let us know in the comments below if you made any mods to your Model S or what modifications you’d like to see?